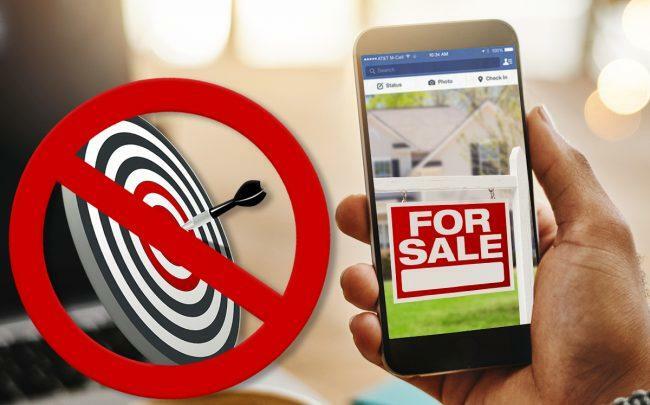 In a blow to some real estate advertisers, Facebook has announced that it will no longer allow housing ads to target users by ZIP code, and will also impose a 15-mile minimum radius for geographic ad targeting. The decision comes as part of a settlement of five discrimination lawsuits filed by the National Fair Housing Alliance, the Communications Workers of America and others plaintiffs, which will also include just under $5 million in payments, the Wall Street Journal reported. Targeting by age and gender will also be disabled, and the same restrictions will apply to job and lending ads. “There is a long history of discrimination in the areas of housing, employment and credit, and this harmful behavior should not happen through Facebook ads,” Facebook COO Sheryl Sandberg said in a blog post published Tuesday afternoon. This is second major shakeup of the Facebook advertising landscape in recent months. Last year, amid increased scrutiny of its data protection practices, Facebook announced that it would be shutting down a feature that allowed advertisers to target users using third-party data directly through the platform. Among other things, this removed the ability for advertisers to target categories such as “Current Renter”, “Current Homeowner” and “First time homebuyer.” Those changes took effect in August. As was the case with that change, larger organizations with their own data operations will be less affected, as Facebook continues to allow advertisers to target ads using their own data. Cook says that the changes don’t come as a complete surprise, as Facebook CEO Mark Zuckerberg had indicated his openness to such changes in Congressional testimony last year.